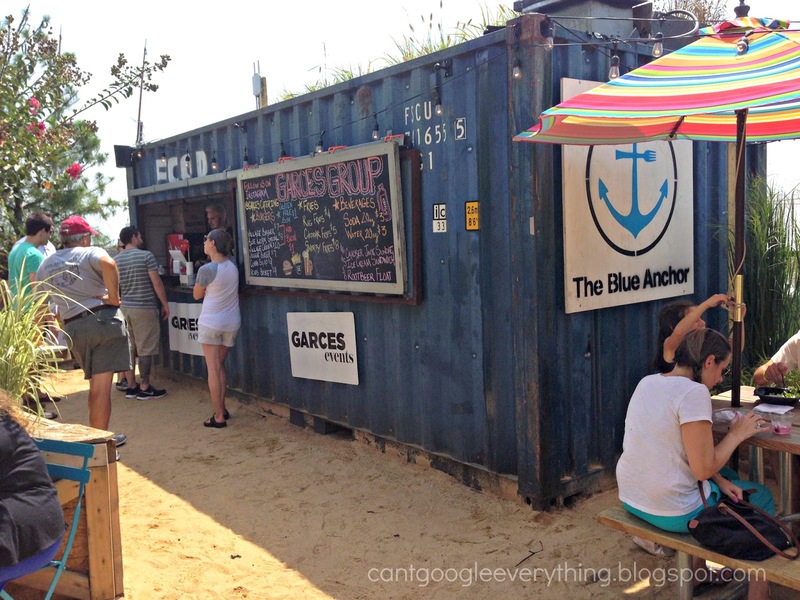 A few weekends ago we headed into Philly to check out the Spruce Street Harbor Park. The park is a pop up park that was only open during the summer, and is probably one of the most unique and cool things I’ve seen in Philly in awhile! Along the Delaware River waterfront is usually just a walking path along the harbor. You can see some historic ships and there are a few restaurants. 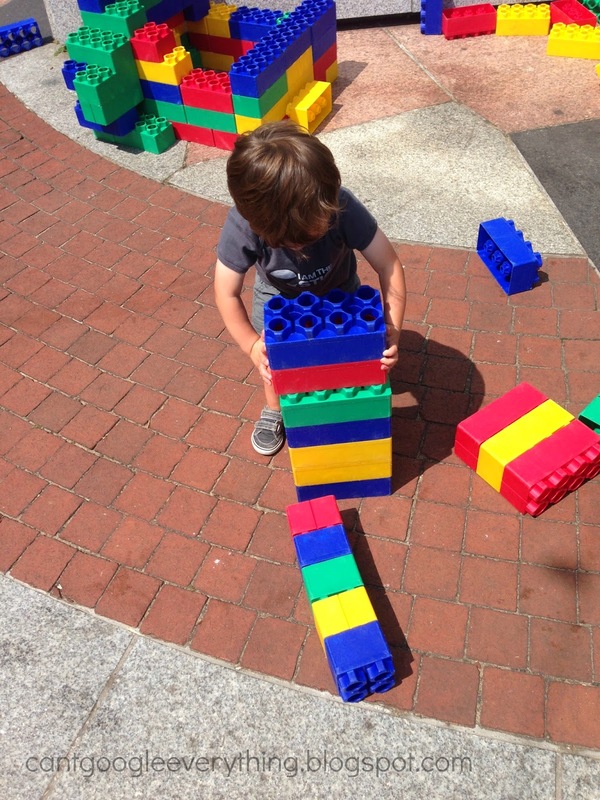 For the pop up park they created a whole new “summer fun” world to explore along the walk. There were lounge chairs overlooking the water, activities and games, and even a floating park which included seating areas and food and drink trucks. Along the walk there was a row of box cars which were opened up to reveal food trucks, arcades and more! On the park side of the walk they had set up hammocks all around the trees which were very inviting for a lazy Sunday! Tables and chairs were available in case you wanted to sit and eat, watch your kids play in the game area or just relax. 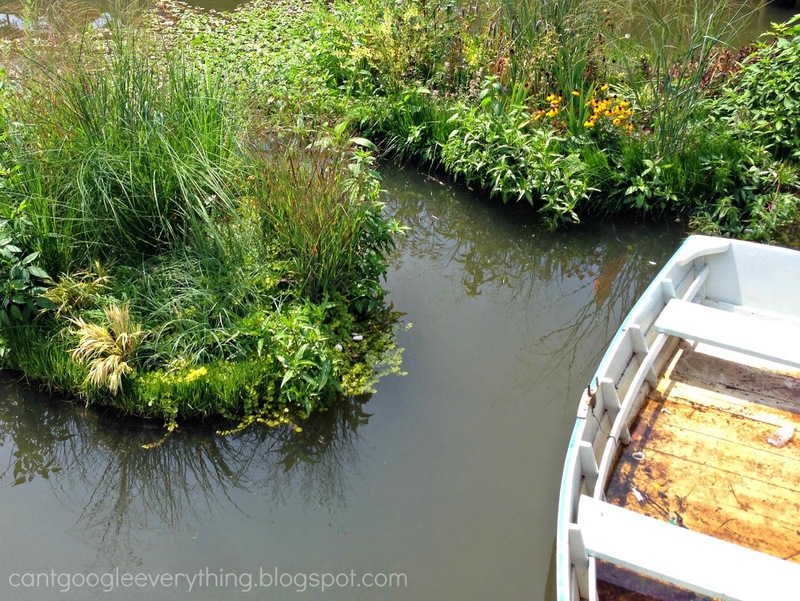 The floating part of the park was filled with sand and plants for a very beach-like atmosphere. We grabbed food at the Garces food truck, which was great! They also had a drink truck serving cocktails and beer. The floating area was a big square with a open area in the middle. They had floating plants and cute little boats floating around in the water! 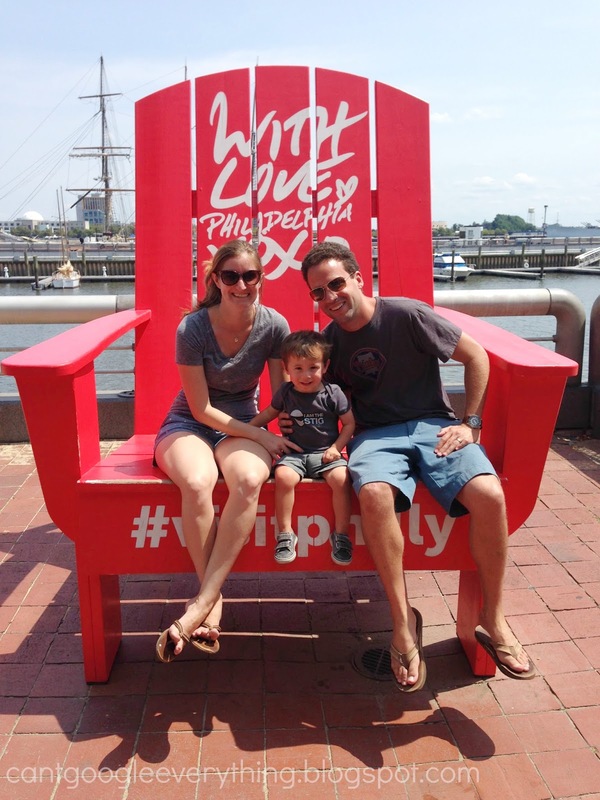 And of course we would be amiss if we didn’t take a picture in the big red “visit philly” chair! I really love this family photo! If you live in Philly did you visit the Spruce Street Harbor Park? Do you have a similar park in your town? Want more? Check out more of my Scenes from Philadelphia posts here! this is so cool, it's amazing how much you can do in Philly! 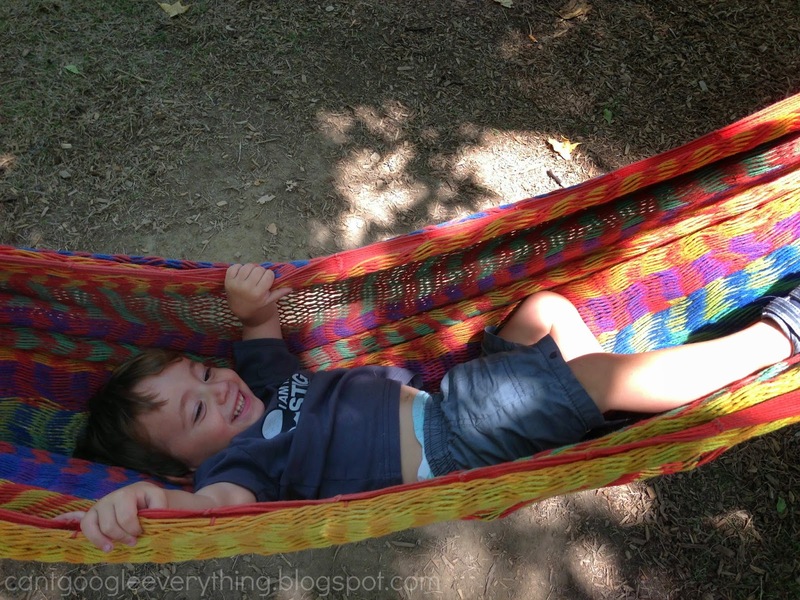 The pic of Carter is the hammock is precious! That's cool! I didn't make it there. Great pics. What a cute little set up! I don't know of anything quite like that in our area, but it sounds like a lot of fun. It was great to meet you this weekend! I'm so mad I missed going to this park. I meant to get there, but we were in the middle of moving. Hopefully, they'll do it again next year- unless it's still open? I didn't know if it's just a summer thing.